This weekend my town’s Farmer’s market opened and I was in heaven. I’m so happy that there’s finally local, fresh fruits and vegetables. One of the new farmers at the market is an organic mushroom farmer and he had the most gorgeous mushrooms I’ve seen. I picked up a basket of crimini mushrooms (baby portobellas) and then found a recipe on Food Network from Giada De Laurentiis for a mushroom and parsley salad. 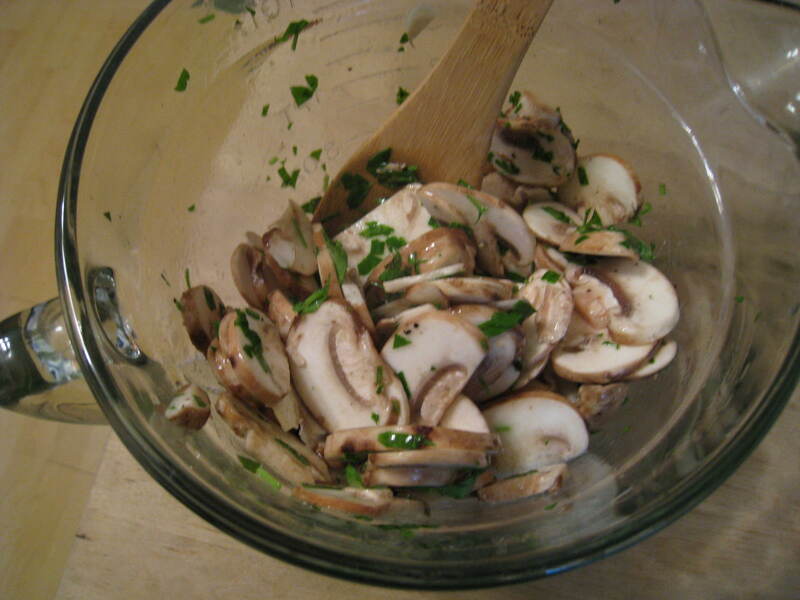 In a medium salad bowl, mix together the mushrooms and parsley. In a small bowl, whisk together the oil and lemon juice until smooth. Season with salt and pepper to taste. Add the oil mixture to the salad bowl and toss until all the ingredients are coated. Top with shaved parmesan (I didn’t have any this week – but will definitely be getting it next time to make with this recipe! ).